This month’s “C” word is CONCENTRATION. In “C” You In The Major Leagues’ definition, CONCENTRATION is a person who has the ability to focus; hones instincts; prepares with a purpose. What happens when an entire team shares that CONCENTRATION? 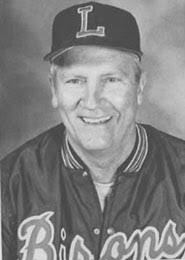 It doesn’t happen often, but this is a chance for me to brag a little on my alma mater, Lipscomb University, and one of my heroes, long-time baseball coach Ken Dugan, who died in 2000. About 47 years ago they did something pretty remarkable with complete team CONCENTRATION. Maybe it was because of Dugan’s integrity and knowledge of the game. Maybe it was his ingenuity, as he introduced the idea of a fall baseball schedule, particularly to colleges east of the Mississippi River. During the 1970s, Dugan and his Bisons won 411 games (an average of 41 games a season), owned the NAIA District 24 championship every year except the 1970 campaign, and captured five Area 5 titles and two national championships. It was common during that stretch for the Bisons to beat the likes of NCAA teams such as Vanderbilt and Kentucky. The “Miracle Bisons” were a young group of players, mainly freshmen and sophomores that won the hearts of Tennesseans with their gritty play and sheer determination. They had good chemistry and good balance. And with that CONCENTRATION, late in the season the team was able to mount ninth-inning comebacks in four straight ball games. Unfortunately, the luck of the team ran out in Phoenix, Ariz., in the championship game of the NAIA World Series. Lipscomb was tied with Linfield College of Oregon in the bottom of the ninth inning. The Bisons were batting with two outs and the bases loaded. The Bison hitter, John Paul Matthews, roped a line drive to left field. The Wildcat outfielder originally misplayed the ball and came charging in, which is easy to do for an outfielder on a ball hit right at him. At the last second, the left fielder made a great snow cone catch, sending the game to the 10th inning. In the top of the 10th inning, the Wildcats scored two runs and took the lead. The Bisons tried one more miraculous comeback, but it wasn’t meant to be. Lipscomb scored one run. One run too few. Regardless of the outcome, in Lipscomb lore, the 1971 “Miracle Bisons” was the team that helped catapult David Lipscomb College to college baseball’s name-recognition list. The Bisons went on to lose in the NAIA championship game the next year, but then won it in 1977 and ’79. But those will be stories for another time.